In general Lionhead Rabbits can be seen as friendly and well-mannered bunnies. They just love to spend time with their keepers and are therefore perhaps a bit more demanding than other breeds. So if you are considering to buy a Lionhead you should be aware of the fact that your little friend needs a certain level of attention. Nevertheless, you will experience that these little creatures are absolutely worth it. A Lionhead Rabbit is a friendly, social, both good-natured and well-mannered bunny that is incredibly tolerant and easy to train. They make great pets for both adults and children and are therefore often serve as a 4H-Rabbit. Can a Lionhead Rabbit become lonely? Although they love attention it is not likely that they will feel lonely after a period of less or not receiving attention at all. They aren’t animals that need a strong social connection with their keepers. Yes they are because of their friendly temperament and tolerance towards children. However, please keep in mind that they require experienced handling. It might occur that when a young child gives too much attention to the rabbit he gets slightly irritated. Make sure to inform young kids about how to handle Lionhead rabbits. Is it possible that a Lionhead Rabbit attacks me? This is highly unlikely but it could occur. When this occurs it is probably due to the fact that the rabbit feels insecure. When they feel insecure they might show signs of aggression towards their keepers. Some possible explanations for feeling insecure are: a lack of good care, the rabbit feels pain or might be ill. Another explanation is that the rabbit never learned how to socialize with people or other rabbits. Moreover, it might also be due to their personality. How do I deal with aggression? If your lionhead rabbit keeps showing signs of aggression or attacks you on a regular base you should start making some changes. For example, make changes in the daily care, provide more or less attention and see what works. Also take a close look at their environment. Normally aggression is created by feeling insecure. How do I know when my rabbit is aggressive? If they are aggressive and planning to attack you they most likely will grunt and their ears will be pinned back. If this is the case, stop stroking the rabbit and take some distance. Does the Lionhead Rabbit have a report for biting their handlers? Only for the reasons I described to Mallory, if it has been socialized. They also resent being encaged for long periods. NO they are very sweet The issue is with the owners who let their kids maul the bunny’s Kids and rabbits do not go well together because MOST patents will not TRAIN their kids how to handle a rabbit So no there is nothing wrong with the any breed of rabbit It is always the owners who create the issue !!!! Mine did, but they were always love bites. She wouldn’t go out of her way- I had to be petting too close to her head for her to bite me. She did use to lick my mum’s feet though! I got a baby lion head at 8 weeks. She was handled daily and was a sweet bunny at first. She now growls and bites at me when I get her out of her cage for exercise. I have a huge pen that I let my other rabbits run around and at that time she chase’s them and bites them. All my other rabbits are very nice but she has become a problem drawing blood from me. When she settles down she will sit in my lap calmly but getting her out of her cage is an ordeal. Any ideas? She is 5 months old now. Well, Mallory, I’d dare to say that you already have the answer. They’ll also protect their cages and fear heights, as when you lift them out of the cage. I recently brought my lionhead inside due to the cold weather. At first I had to put him/her in the bathtub while I secured an indoor cage (took about a week.) he has been in my living room in an open cage with the option of coming out to socialize. It’s been about 4-5 days now and he’s becoming extremely aggressive with me and the kids. (scratching, biting, jumping aggressively at me when I put my hand into the cage to give food, hay or water. This is not like him. I took him because the home he was in wasn’t a good place for him. (Every time I went to visit there was no food or water …. Plus the cage was never cleaned out) Now I’m not sure if I need to find him a new home or not. His anxiety seems to be high. Should I isolate him like he was more used to being in an outside cage or try to (with full gear on) try to coddle him and see what happens? My biggest problem is that I have a five-year-old a seven-year-old and a 12-year-old that like to play with him. The rabbit also likes to play with my two dogs and three cats. Not today. Do I need to find him a new home or can I rehabilitate him to be friendly again? All suggestions welcome! Hi Tori, i have gotten a lion head from a co-worker, cause she was being aggressive. Biting and growling when trying to giver her food. I am working with the lionhead. I have s suggestion of two. That may help. This is probably too late, since your comment was more than a year ago, but I got a lionhead when she was around 3-4 years old, so I know that it can be difficult for a rabbit to be in an entirely new place all of a sudden. I’d say your rabbit probably did not like being suddenly put into the bathroom in a new place, and probably has had little socializing, especially if he was outside most of his life. Just isolate him in a large room (preferably one that is quite and has spaces for him to explore and hide without any danger) and give him time. I will say that he should not be put back outside, nor in a small enclosed space with little shelter. I know a lot of people will have pet rabbits in hunches outside, but it makes the rabbit used to being alone and away from humans, and can make it hard for them to become an indoor pet. The issue here is really more about if your niece is old/capable enough to behave appropriately around the rabbit. Rabbits are a prey animal and will get scared if they are pulled on, picked up incorrectly or touched too forcefully. If they panic they may accidentally hurt themselves or the child. Most rabbits are child friendly – many children are NOT rabbit friendly. Adopting a rabbit from a shelter is the best way to find one that has the kind of temperament that suits your home environment and lifestyle (regardless of breed). Also, the shelters usually train any bun that hasn’t been already – which makes bringing them into your home a little smoother. My lion head is quite shy, but when he wants pets he’ll sit there for a long time in my lap. My other rabbit (mixed breed) will come seek attention – and then push you away the moment he’s had enough. It’s really good to spend a good 15 minutes ‘meeting’ the different rabbits that are looking for forever homes. YOU NEVER A ONE YEAR OLD HANDEL A BUNNY !!!! Rabbits are delicate and kid are rough They have no idea how to handle a small animal I hope you did not get a bunny !!! Common sense is so uncommon Please do not get bunny ! My kids are great with our lionheads. It’s great socialization for them. I just got a lionhead – not on purpose, I was actually going for Netherland dwarf, and she was sold as a purebred ND. But, oops, she has a mane and a bit of a skirt. However, she has become as friendly as the wonderful Dutch rabbit I had in my teens. Complete with oodles of licking kisses, nudges for more petting, and she greets me at the entrance of her cage by standing and stretching herself up as tall as she can manage so she can nose-touch my hand as I open the cage top. I cover her eyes when picking her up and putting her down to keep her from panicking. But with time, rabbits can outgrow this fear, too. It’s not that they dislike being held. It is the motion of being raised and lowered when it is not their own idea to do so that worries them. That’s why once you get a rabbit picked up, she calms right down when the attention starts. My new lion head only licks, never bites, and does not scratch deliberately. Rabbits tend to love getting stroked on the head, and lion heads like it as much as any of them. Once they’re used to you stroking their head, they should quickly start loving being stroked all over. That’s good, because you’ll need that to help you out with grooming. My lion head behaves the way my Dutch did with that. Stroking eventually lead to rabbit sprawled/flopped on the chair in the Dutch’s case, and on my lap in the lion head’s case. She’s still small enough to flop on my lap. And she has done this much more frequently than I expected in the two months she’s been with me. It’s like holding a sleeping kitten. My brother has a lionhead called Reno, but he doesn’t seem to have a big fluffy mane even though he adores attention and does occaisionally bite.. can I train him not to bite? I have not had experience but I do suggest getting another rabbit. I read that this helps. I have absolutely no experience with biting from rabbits, other than young ones trying to snack on my clothes. They learn quickly not to do this if you gently tell them “no” and get your hand between their nose and the clothing, but I think the treatment would have to be somewhat different when they try to nip you. The only thing I can think of is to offer a chew toy. And my lionhead is now a year old and as affectionate as ever. She is also very curious and somewhat mischievous. They will try to get away with things when they know their owners are preoccupied with something else. I haven’t had a lionhead but I did have a female rabbit in my teens. She was nice until she got a bit older and became quite agressive. Come to find out she was wanting to get a boyfriend and have babies. I gave her away to someone who could breed her. Theybsaid she was calm and a great mother to her babies. Is it possible that the lionheads also get in the mood for love and romance when they get a bit difficult? We are considering getting a few lionheads to raise and I am trying to read all I can about them. Hi. Can you tell me about Lionhead angora? Kay, do you mean a mix? I really badly want a rabbit. I saw a pair of lionheads online with a large hutch. How do I convince my parents I deserve another pet? ( I have 2 cats that are indoor and I have a fish tank which im getting fish in soon. Rosce’s our first bunny and also lion head, from what I can tell he doesn’t like toys, likes to chew towels but not cardboard or paper. He sometimes snuggles and sometimes just doesn’t want to be held and tries to jump from our arms until he succeeds. How do I groom him when he won’t sit still? He gets free roam of the house from 5pm-8 or 9 every night and mornings on the weekends, he used to run and jump around but now he likes dark small spaces and doesn’t interact with us! Any thoughts/advice? Hi I’ve just been reading this webpage. I am looking for a bunny and have so far been to see a netherland dwarf (very cute) a mini lop (very cuddly) and I’m due to see a lionhead this week. I’m now confused about which breed to go for. My main concern is temperament. I want something placid, friendly and that likes being handled. I’m aware not all bunnies like being picked up and I’m willing to put the work in with a baby, I’m just concerned that if it’s in their personality to be grumpy then that’s it. Has anyone got any experience with different breeds? I keep hearing that Netherlands are skittish and highly strung and that lops are the best pet but I keep leaning towards the netherland I don’t know why! Maybe third time lucky when I see the lion heads! lop or dwarf would be my recommendation for placid, gentle bun bun. give regular attention & gentle handling to form close bond. Help!!! My lionhead attacks anyone who feeds her that is not me. Once a week or two she will grunt at me then “realizes” that its me. I have been trying to get her use to other people but she throws a tantrum until I hold her again. I want my buns to be nice but I need help. I do work and go to a school five days out of the week but I do my best to take her out of her cage everyday either outside or inside (I watch her very carefully). I just don’t know what to do. I know for a fact that I don’t exercise her enough and I feel terrible. She is slowly starting to like my mom. But I want her to become more friendly. I was wondering if I should get her spayed. Would that help too? Any guidance would be greatly appreciated. Hello my name is Teresa I just recently bought a lionhead rabbit a little boy, name is Simba and he is one of the bunnies. He is too funny because I actually think he reminds me of a little puppy how he stretches out in his cage he likes to hang his feet out of his cage which I find very funny and cute when you get out of the cage he walks around the house jump on top of the ledge of the fireplace when you get tired of running around the house he go to his cage. one thing concern me is that he take ownership of everything in his cage and when he don’t have his way he throw temper tantrums got mad with me here lately and his little toy Bell toy that was hanging from his cage he destroyed it and actually put the toys out his cage. One thing left side heel of cabbage green cabbage at that he also love carrots and Timothy Hay and looks on that that piece of salt thing. Hello this is Therese again I see I made a few errors and my comment what I was saying that my rabbit loves cabbage green cabbage at that. My lionhead goes to bite my fingers Everytime I put my hand in his hutch to feed him. From what have learned so far is that it may just be normal, and he is just needing some more attention, but I still ask if this is normal. We just bought an 8 week old lionhead. A few days after, the bunny attacked my 2 year old son and bit him twice in 1 day. Both times, my son was sitting quietly playing, minding his own business and the bunny approached him and attacked and bit him, the second time breaking the skin. If my son was being loud or rough with the bunny, I could understand the biting but it was completely unprovoked. Does anyone have any suggestions for what we should do? Is this just the temperament of this bunny? Do we need to get rid of it? Thank you! 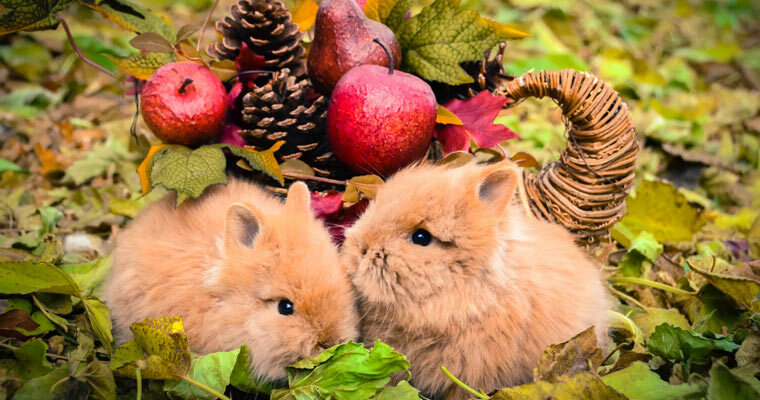 Lionheads are very sweet bunnies. I have had many different breeds over the years and they have a particularly friendly temperament. Rabbits need to find their place in the social order. They will try to dominate anyone they can, including people. Once I established my dominance over my house rabbit he moved on to my husband, stealing his chair when he got up or biting him while he was napping. Nipping is a very common. You need to establish dominance and let the bun know that you won’t tolerate bad behavior. Once it’s spayed/neutered this type of behavior will dissipate. First time bunny owners are better off getting a spayed adult, but your baby bun will fall in line with a little guidance. There are many good resources on the net for stopping this kind of behavior. What worked for me was repeatedly pushing my rabbits head down on the ground into a submissive pose. Hi, my Lionhead has recently lost her sister. They were very bonded, and now she is alone for the first time. She is 7 months old. Do I need to get her another bunny to keep her company? She seems fine, she was a bit sad to begin with but is behaving completely normally now.